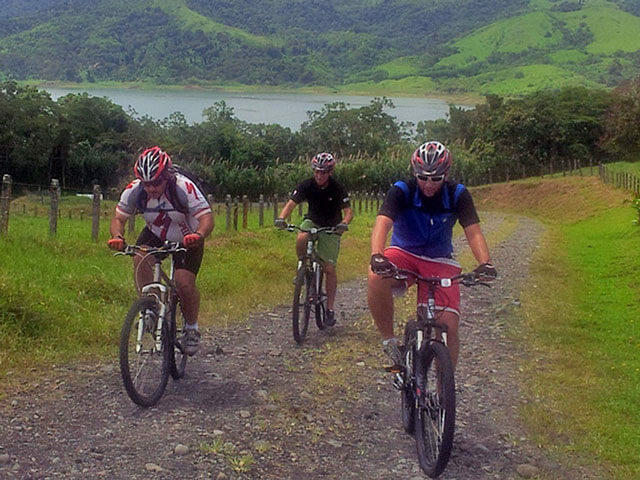 Mountain Biking Arenal Volcano to Monteverde. A Great Adventure Connection by Mountain Bike, Boat and Land Transport! 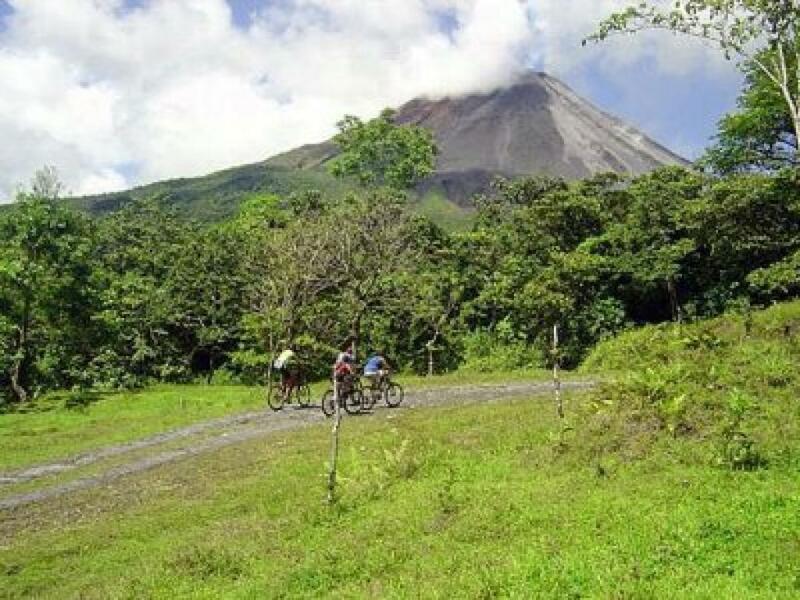 Costa Rica has some of the most-beautiful scenery for mountain biking. 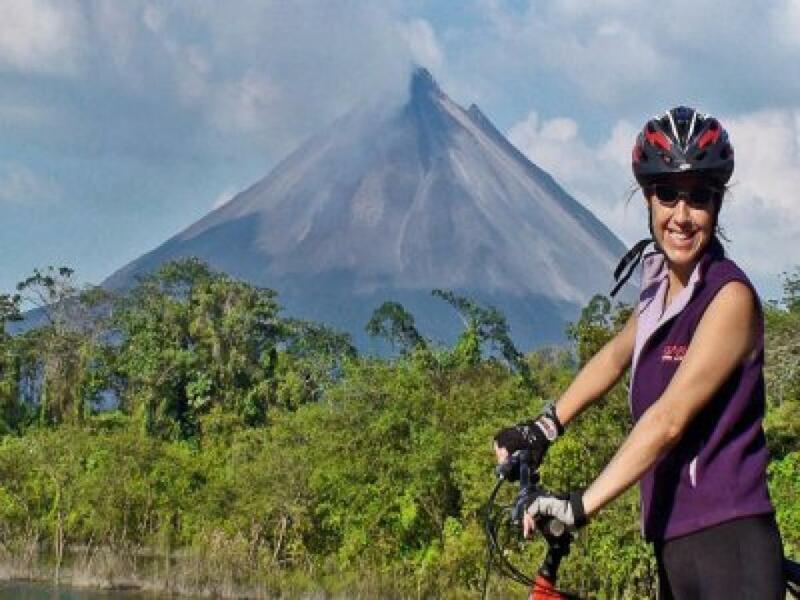 We’ll get you fitted to your bike and you and your guide will ride along moderate-level rolling hills on well-maintained country roads with views of the behemoth Arenal Volcano and spectacular jungle all around you. In Case of Problems -- we use a spare vehicle/boat - this can be pulled up in case of problems with additional bike on hand and guides carry basic spare parts, but the big stuff goes on the boat and guides also carry first aid kits. approx. 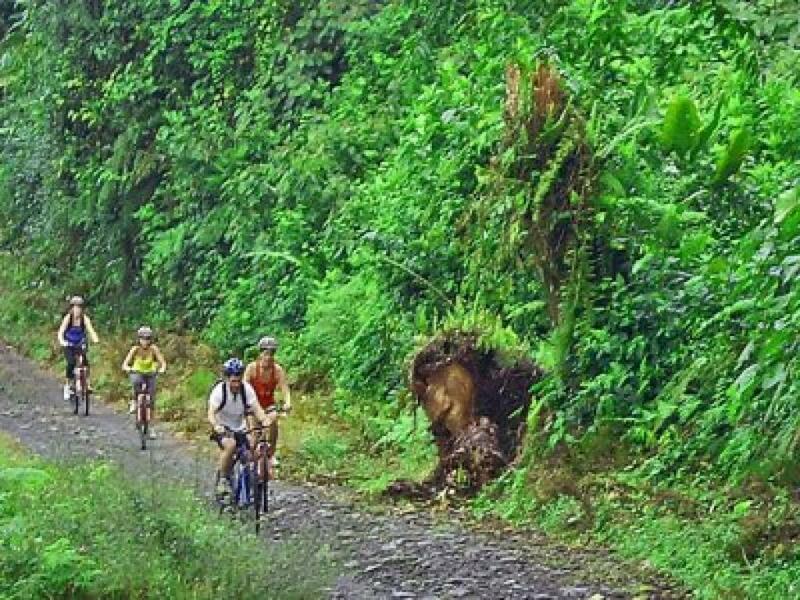 3-hours on bike and the tour is 5.5 hours in total with breaks.